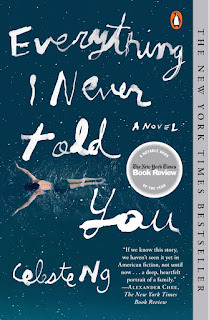 This book gave me a serious book hangover. It hit me very deeply, and I'm still not sure I've processed it enough to actually write about it, but I'm going to try. The book opens with the knowledge that Lydia, daughter of Marilyn and James Lee, has died. Her body is pulled from a nearby lake, and while the authorities believe it to be a suicide, her parents are not ready to let her go that easily, especially Lydia's mother. Her siblings, Nath and Hannah, are in shock, and secrets begin to surface. Prior to her death, Lydia was a good student and her mother had large dreams for her to go into medicine, something she had given up years before when she met and married James, and got pregnant shortly after. Lydia is her mother's beacon of a successful and happy like, and Marilyn would do anything to guarantee her daughter's success. James, on the other hand, really knows nothing about his family. He's a ghost in his own family as he focuses on his work at the local college. And while he wants the best for his children, he's not sure how to go about it. He wants them to be popular, to be successful, but has no experience with either given his own struggles growing up. As for Lydia's siblings, little Hannah is all but forgotten by the other members of the family. She is pushed aside and often lingers in the shadows. Nath was probably Lydia's best friend until recently, but thinks she was hanging out with the wrong kind of guy. The book slowly unravels the secrets of the Lee family as the investigation continues and each of the family members comes to term with their own grief. It's heartbreaking. But as the characters grieve, we learn their secrets and that not everything is as it seems. 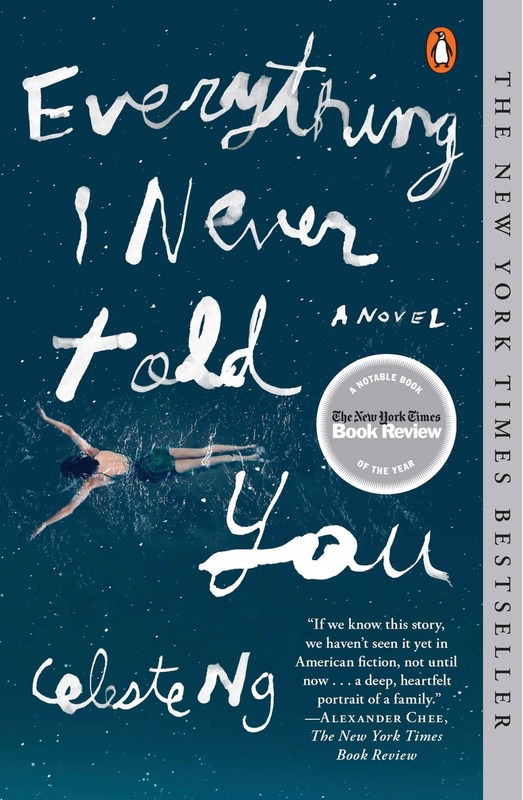 It's a book about those secrets and the fact that even though you live with someone, talk to them, doesn't mean that you understand them and their struggles. I think that stood out to me the most about this book. That family's do have secrets. I know there are things that I went through in my life that my siblings probably didn't, and still don't, know about. And vice versa. And I'm sure that there were times when my parents heard and felt and saw what they wanted to see from each of us. Or that we pretended to feel, see, or hear just to satisfy my parents. I think that's how family works. And this story solidifies that. It's a powerful story, and one that I'm still thinking about a month later. 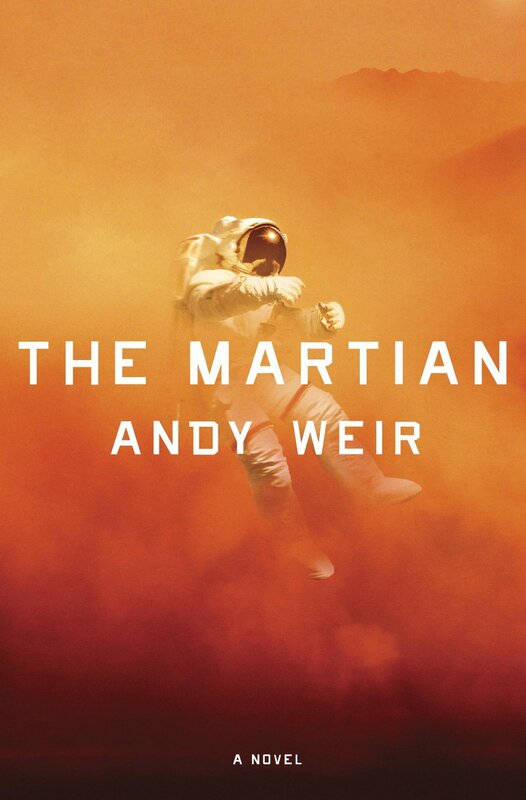 The Martian was my most recent audiobook (I only listen to books when at the gym). When I was looking for a new book to listen to, I wanted something that would keep my attention and motivate me to go back to the gym to keep "reading." And I had heard good things about Weir's novel, and after the husband showed me the trailer for the movie, I bought it on Audible and started listening the very next day. In short, I loved this. Seriously, loved this. Mark Watney was left behind on Mars when the crew of the Ares 3 mission took him for dead during a dust storm and evacuated. His crew and NASA assumed him to be dead, when really, all he had was a small injury. Alone on Mars, Watney had to use all of his strength, courage, and knowledge to find a way to contact Earth and survive. The Martian is the story of Watney's struggle to contact Earth and survive using only the resources NASA sent with Ares 3. The whole novel is filled with little gems. Really, the book is a modern day Robinson Crusoe and I love those types of survival stories. It's moving and inspiring and in some ways makes me want to go climb a mountain (if that makes any sense). And in contrast to Watney, we also get the story back on Earth. We see what NASA sees, hear their conversations about trying to save Watney, and the whole thing is heroic and thrilling and something I didn't want to stop listening to. Like I said, I'm in the midst of a blogging binge. I'm really struggling getting back into blogging. I feel like my writing is forced, which is why you've seen minimal reviews from me over the last few weeks. It's not that I'm not reading (I AM), but I'm struggling writing out my thoughts. I've lost my blogging mojo. 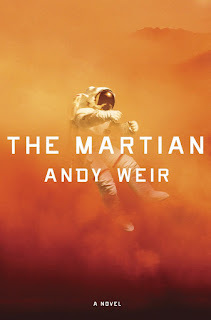 I just finished listening to Andy Weir's The Martian last night. It was my gym "read" but I had a couple hours left and spent two hours coloring just to finish it (I was in a tense spot and couldn't put it down...err...shut it off). I'm probably going to read volume 11 of Fables tonight, but I'm not sure what my next novel will be...maybe All the Light We Cannot See? We have been meaning to watch the third season of Orange is the New Black since it came out, but we keep coming up with excuses! We are re-watching the entire South Park series at the moment...as my husband says....everything about me says I would hate it, but I seriously love that show. Feel free to judge. I recently bought a new planner (by Erin Condren) and I'm determined to get my life organized. I've been learning a lot about the planner community and how crazy some people get (really...just search it on YouTube). And while I would love to go all out, I don't have the time or money to buy all those stickers and such, So, I'm learning some other ways to organize my life and get my goals on track. Pretty good. We're going to the gym later and it's Abs day, so I know that if I had done this survey tomorrow, I'm sure I'd be complaining about my abs hurting. But really, I'm feeling pretty good. Truthfully, since giving up Diet Coke and all other pop in early April, I've felt pretty fabulous. Minimal headaches. Only minor Lupus flares. Hmmm. For a longer summer...hahaha, no, I'm kidding. I do wish I could be a little more focused and on top of getting some planning done, but I know I won't start until August (I like to enjoy some of my summer), so it'll all get done before school starts. Spending a lot of time with my husband. I ask him periodically if he's ready for me to go back to work yet, and so far, he hasn't said yes. ;) But really, it's good to spend a lot of time together! 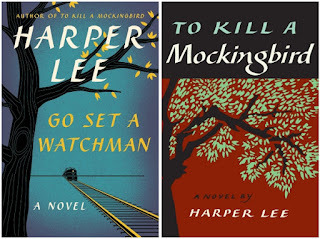 Go Set a Watchman and To Kill a Mockingbird by Harper Lee. “People generally see what they look for, and hear what they listen for" (To Kill a Mockingbird). I had not planned on reading Go Set a Watchman. I actually didn't pre-order my book until the day before it came out because I wasn't sure if I wanted to read something that had been shelved for 50 years and mysteriously "okayed" to be published by an author who was pretty adamant about not publishing again. But, curiosity got the best of me, and I decided to purchase it amidst all the controversy and early reviews. I also decided to reread To Kill a Mockingbird, as it had been a few years since reading it and the details were fuzzy (you can see this post for an earlier review). I don't cherish TKAM as a childhood favorite, which is why I think I had an easier time reading GSAW. While I did love Atticus as a character, I didn't have the heartfelt adoration and respect for him that so many others do/did. During my reread of TKAM, I noticed a few things that I wanted to mention here, and that first quote above is along those same lines. Since I was reading it the day before I was going to settle in with GSAW, I paid particular attention to Atticus, the trial, and his relationship with Scout. And while it's still obvious that there is hero-worship on part of Scout, I did pick up on a few things I wanted to mention: 1. Atticus didn't volunteer to be Tom Robinson's defense attorney-the case was assigned to him, 2. In the closing argument of the trial, Atticus does little to talk about the crime or the matter of race-instead he pays particular attention the idea of justice and what that means as a jury, 3. Tom Robinson is found guilty and dies only a few weeks after the end of the trial when he tries to escape. His story in TKAM is wrapped up quickly and Scout doesn't dwell on it all that much. These things stuck out to me because as I started to read GSAW, there were inconsistencies, and had I not JUST read TKAM, I might not have paid attention. First, in GSAW, they discuss the victim of the famous trial as being a 14 year old, but in TKAM, she's 19. There's also the matter that Henry Clinton talks about Atticus winning an acquittal for his client in that same case, when we know that Tom Robinson was found guilty and later died. There is also mention that Atticus took the case as Tom was a relative of Calpurnia, where that wasn't mentioned in TKAM at all. And while I know that doesn't detract from much from the main ideas in either novel, it does signal to me that perhaps there was reason why Lee didn't publish this second volume earlier. According to all reports and articles, GSAW is supposed to be the book that Lee wrote first, and after showing it to her editor, she was encouraged to focus on the childhood of Scout and Jem. And somewhere in there, Lee changed a few details. That unsettles me....if this was a true sequel, those details should match and an author and an editor would pick up on those things. Anyway, the book was published and it stands as it is, and as readers, we have to understand all those circumstances surrounding it, and acknowledge that things might not be what we want them to be. There are passages in GSAW that are word for word in TKAM. Some characters are drastically different. Some are the same. But it's still Maycomb, and Scout is still Jean Louise Finch. “Every man’s island, Jean Louise, every man’s watchman, is his conscience. There is no such thing as a collective conscious" (Go Set a Watchman). As for the book itself, it takes place roughly 20 years after the events in TKAM. It opens with Jean Louise coming home to Maycomb by train. She lives in New York City and returns for a couple weeks each year to visit with family. On this trip, she returns to a man that she maybe loves, but will never marry-Henry Clinton, or Hank, who works for Atticus and is a rising star in Maycomb. We are also reintroduced to Aunt Alexandra, who is still as sassy and overbearing as in TKAM. One of the highlights of the novel is when Jean Louise says, "Aunty, why don't you go pee in your hat?" Really, the best pieces are those where we see glimpses of Scout from TKAM. There are quite a few flashbacks to her childhood, which includes pieces of young Jem, Dill, and Hank. These moments offer the few lighthearted passages, and it's obvious why TKAM was so successful, just based on those passages. They are filled with childhood glee and ridiculousness that we all remember from our own childhoods. The one human being she had ever fully and wholeheartedly trusted had failed her; the only man she had ever known to whom she could point and say with expert knowledge, “He is a gentleman, in his heart he is a gentleman,” had betrayed her, publicly, grossly, and shamelessly" (Go Set a Watchman). The remaining 150 pages or so of the book focus on the conflict within Scout concerning her relationship with her father and the new light she sees him in. This is the unsettling portion of the book, as Scout begins to see that not only is her father not the man she remembers and adores, but the people around her are the same. She, instead, is color-blind. "Blind, that's what I am. I never opened my eyes. I never thought to look into people's heart's, I looked only in their faces" (Go Set a Watchman). She searches out the people closest to her and lashes out. There are a few conversations with her uncle, Dr. Finch, as she tries to come to terms with this new knowledge and he attempts to calm her. He tells her more than once that Atticus has always been the same, but now that she has grown into her own person, she is just breaking with that childhood vision. And that is what upsets readers. I think that for many, who grew up loving and adoring Atticus Finch as a role model and mentor, as the justice-seeking father, their own visions of Atticus in that light have popped. Because we all have childhood interpretations of the people closest to us. I know that when I was young, I shared many of the same political beliefs as my parents-because they were my parents. They were always right and heroic and good all the time. It is only as I have grown older, become an adult in my own right, and began to break that connection that I see that there are gray areas. There are areas where my parents and I do not see eye to eye, where I might shame them because of my beliefs and vice versa. I think that struggle is something many of us go through. There comes a point in all of our lives where we break from our parents and we see them for who they truly are-human. That is the disturbing aspect in GSAW. Atticus is no longer romanticized by Scout's childhood observations and understanding of his character. Instead, we, as adults, and Jean Louise, as an adult, see the truth in who he is. And while she fights Atticus, screams at him, and attempts to force her opinions at him, he is who he is. “You never really understand a person until you consider things from his point of view... Until you climb inside of his skin and walk around in it" (To Kill a Mockingbird). For Jean Louise, it's a coming of age. She learns that she must have her own beliefs, her own way of seeing the world. She must finally learn to live according to her own values because Atticus isn't who she believed him to be. That is the challenge in this book. That things are not what they seem to be. That there might be another perspective, another voice to listen to, a challenge to look past what we think we see and believe and listen to everything that is alluded to. That is not easy. And in this current time, where we are having the same conversations about race, privilege, and prejudice, it is even more important to understand what I believe to be the importance about Jean Louise's realization: There will always be those who don't see things in the same way we do. We might hate them for it, think they are misguided, ignorant, or uncaring, but there are emotions beneath the surface that tell more of the story. We need to always listen, to stand up for our own beliefs, and try to better the world around us, but it is never easy. "The time your friends need you is when they're wrong, Jean Louise. They don't need you when they're right" (Go Set a Watchman). Turning 30 and the List of 30. Today is my 30th birthday. I've been dreading this day for quite some time, as I've always felt that 30 is a landmark birthday. In your 20s, I feel like you can get away with a lot, but at 30...well, you're a real adult. It hasn't quite sunken in, but I'm sure it will over the next few days. I know I'm a little sad on this birthday, as I thought my life would be slightly different by this time (mainly-kids). But I'm optimistic that the next ten years are going to be amazing because in all reality, my 20s weren't that great. I AM ready to leave them behind. Anyway, to celebrate my 30th birthday, I really wanted to give myself a list of things to do, or accomplish, before my next birthday. Some are things just for me, some are for others, but all are things that I think will make my 30th year quite spectacular. I think I might post about some of them, and I know I'll keep a running list and my progress somewhere on the blog, but it's here for now. 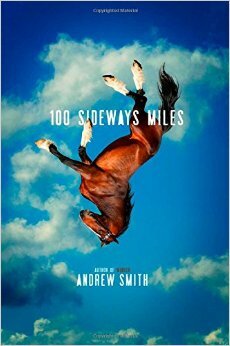 100 Sideways Miles by Andrew Smith. I'm slowly working my way through all of Andrew Smith's books after first discovering him a few years ago during a summer readalong (I believe Roof Beam Reader is responsible). Since reading my first Smith titles that summer (In the Path of Falling Objects and Stick), I've been trying to read my way through Smith, grabbing new releases as they come out and working my way around to the books I haven't had a chance to read yet. I'm pretty sure I only have 2 left-The Marbury Lens and Passenger (I could be wrong now that I'm looking over at my shelf). In any case, I really enjoy reading Smith. I consider myself to be a big fan of his work and think that he's doing some really great things with YA fiction. His work has a signature and it stands out from a lot of the other things being published today. Anyway, I recently received this title in a recent book swap and felt in the mood for some zany Smith this past weekend. He didn't disappoint. Now, if you've read Smith before, I would compare this more to Winger than Grasshopper Jungle or The Alex Crow. It had it's crazy and original elements, but seemed a little tamer than the last 2 Smith books I've read. Finn Easton is not your average teenage boy. He was born with heterochromatic eyes (different colors). And when he was young, a dead horse fell off a bridge and onto Finn and his mother. His mother was killed in the accident, and after being in the hospital with a broken back, Finn has an odd scar and epilepsy as a result. With all of these traits, Finn always feels a little different, and it didn't help with his father published a book with a main character named Finn...who shares all of those traits. But beyond that simple surface explanation, the book has a lot of traditional YA elements that made me love it-a crazy best friend, Cade, who was probably my favorite character (he reminded me of a student), a beautiful girl, Julia, that accepted Finn with all of this traits, a road trip, and lots of swearing and teenage situations. It was a simple story surrounded by complex elements, but Smith made it seem original and true. And believable, even given those bits of zany I've come to expect from him. One aspect of the book I really enjoyed was the description of time passing. Instead of using time as we use it (5 minutes pass), Finn thinks in terms of distance-what the earth travels, etc. It makes for an interesting plot element and allows Finn to challenge his own notions of what really makes sense to him as he deals with the hand the universe dealt him. It was well executed and explained, so that as I read the book, I found myself thinking about moving in distance, not time. In all, this is a great addition to Smith's canon and one that I can see a lot of teenagers really enjoying. "I had the story, bit by bit, from various people, and, as generally happens in such cases, each time it was a different story." This was probably my 6th or 7th time reading Wharton's slim little volume, but that didn't make it any less exciting or interesting or heartfelt. 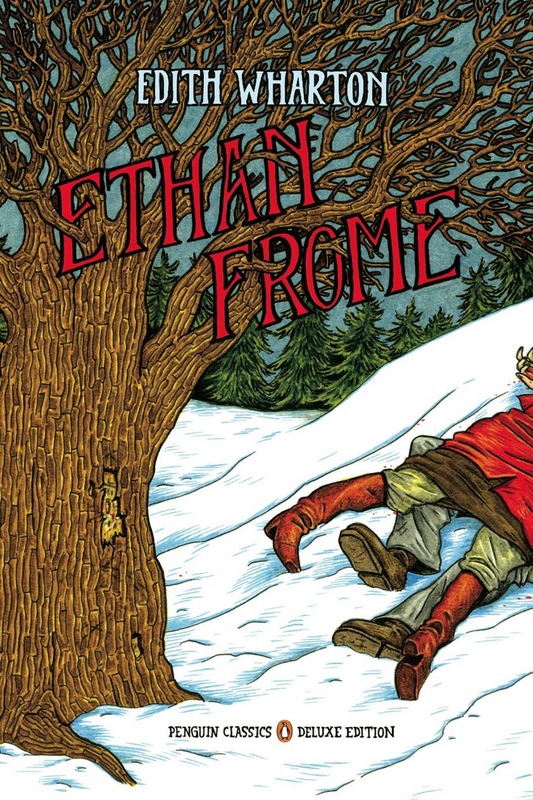 In short, this book tells the tragic tale of Ethan Frome's life in Starkfield and the accident that determined the course of his life. And while I probably have passages memorized from reading it so many times, the novella still gets me every time. On this most recent read, I paid particular attention to Wharton's description of the setting, which very much foreshadows and reflects the emotions Ethan struggles with throughout the course of the story. The very name of the town-Starkfield-reflects just as much. The cold, oppressive winter definitely reminded me of Zeena and her hold over Ethan and Mattie. It's a relentless, bitter control that doesn't even offer a glimpse of light or hope. And while I certainly made that obvious in discussing it, Wharton does it with skill-the setting looms as another character. This is definitely a story of a doomed man, and a decision that altered what he wanted and needed most. And even though I know it's coming, I always wish he would change his mind (if only books worked that way, right?). Anyway, just small thoughts for a small book with a big impact. If you're new to Wharton, this is a great place to start!